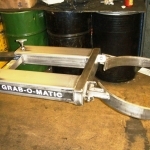 The Grab-O-Matic Single Drum Handler model DH-1 St/Steel is suitable for all steel drums only with pronounced rolling rims and is secured to the forks with ‘T’ bolts. 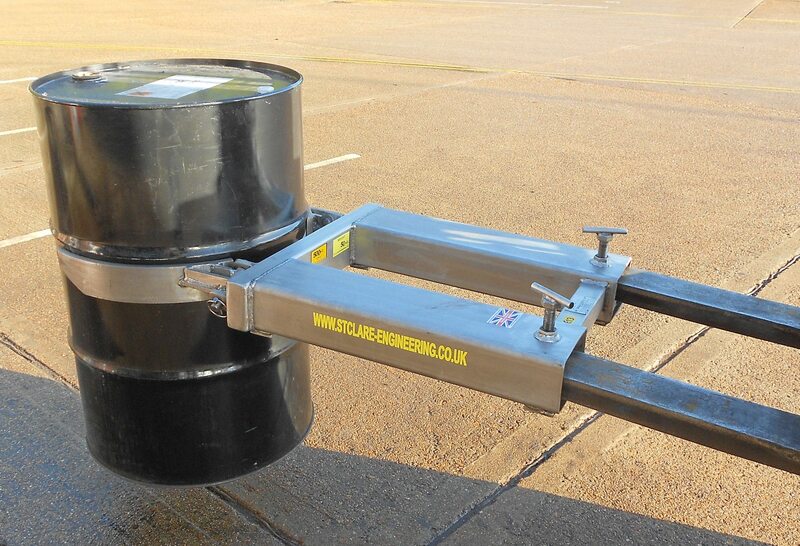 The complete DH-1 is manufactured completely from stainless steel and the unit is suitable for use in an ATEX Zone 1 spark proof area. 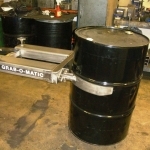 The drums are grabbed under the centre rolling rim and released when set down to the ground, damaged drums and drums of various sizes and diameters cannot be grabbed with the DH-1 St/Steel single drum handler. 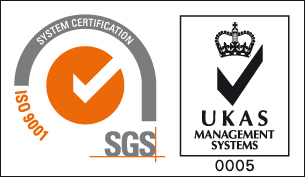 As this unit is manufactured completely from stainless steel it is also suitable for applications and areas that require a complete wash down after use.